Whilst on this portable audio jag – kick-started by the stunning Astell&Kern duo – I’ve been contemplating (again) the pragmatists choice for a portable head-fi rig: headphones and DAC/head-amp to take on holiday or on a business trip. In this context, portability and durability are just as important as holding fast to an audiophile mandate. As is keeping the budget on a super-tight leash. 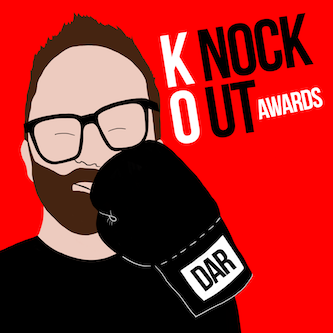 This time last year I was rockin’ a CEntrance DACport with AKG K-520 headphones. That combo took me from hotel room to hotel room during a 10-day blast around the western United States. This year it’s gonna be HRT’s microStreamer (US$199/AU$219) and a pair of KEF M500 headphones (US$299/AU$499). First and foremost: the HRT device sounds truckloads better than the $0.05 headphone output on a MacBook Air. Ditto the CEntrance DACport. However, the microStreamer sounds crisper and more dynamically adept than the CEntrance tube. Opting for the HRT also saves you/me $100. It’s smaller and lighter too; I can slip it into my jeans’ back pocket and not notice it’s there; something that’s not quite possible with the DACport. The HRT microStreamer is itsy-bisty-teeny-weeny-lose-it-in-the-bottom-of-your-bag small. Neither the DACport nor the microStreamer handle anything above 24/96 but I care not one jot when out on the road – 99% of my library is Redbook and the transient discombobulation of hotel rooms don’t lend themselves to chin a stroke through a 24/192 of Unknown Pleasures or a DSD (SACD rip) of Bossanova. For such higher-resolution listening, I’d opt for the bigger, heavier, better-sounding and 4x more expensive Resonessence Labs Concero HP. 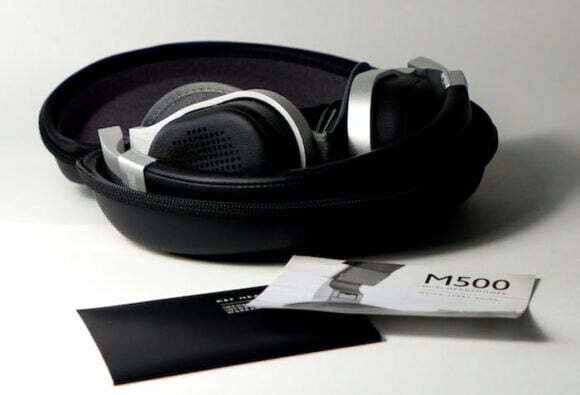 The M500 is KEF’s first shot at the full-size headphone market and they’ve hit the bullseye. Durable and comfortable, they offer superb midrange clarity that neatly exposes the treble delicacy and intricacy brought by increasingly better source hardware – but no need to go overboard when on the road, hence the HRT DAC/headphone amplifier. Back home, the KEFs see juice from a Burson HA-160 that furnishes them with greater fullness and organic bloom, compared to which the HRT sounds a little wire-y in the treble. Lastly, the outgoing AKG K-520 don’t fold up into a carry case for protected portability. The M500’s sturdy aluminium backbone and Smart-Hinge tech will keep transit damage at bay. Issue 57 of TONEAudio is an all-headphone affair. There you can read my FULL review of the KEF M500 ‘phones. Dig in – Page 174. 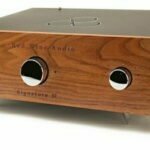 Previous article CEntrance HiFi-M8 or Cypher Labs Theorem 720 DAC? I just finished reading the article on the KEF headphones and it didn’t tweak that you were the author. That was a great article and I also enjoyed the photos in this edition. Not bad for a free download. TONE’s a great mag, yes. I only wrote the words though – the photo credit belongs to Jeff Dorgay. I’ve owned the HRT microStreamer for about 6 months and I hardly use it. It’s more powerful than the standard iPad/MacBook Air port and fairly refined but has a slight edge to it that can’t compare to the smoothness of the standard output (I think Apple have done a reasonably good job in striking a pleasing balance). I actually drive my Senn HD 650 directly off the iPad 3! It is mostly okay, and the HRT microStreamer isn’t sufficiently better plus adds some unpleasantness. I don’t have any other DACs to compare with but did try the HeadRoom BitHead several years ago and also found it had a hard sound that didn’t compare with the PowerBook G4 output at the time. 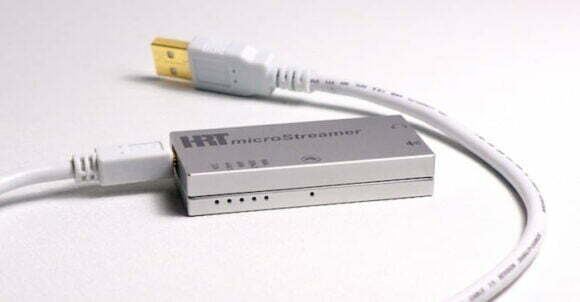 Any recommendations for a step up from the HRT microStreamer but still relatively portable and works with the iPad 3? 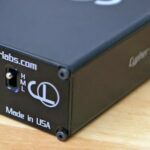 CEntrance HiFi-M8 or Cypher Labs Theorem 720 DAC?